WE NEED YOU! Help us to continue the work in the community. Interfaith Sponsoring Committee (BISCO), Inc. is a 501c3 nonprofit formed in 1994 after Hurricane Andrew exposed longstanding issues of racial inequity and poverty in southeastern coastal Louisiana. The rationale of the organization is to bring together local residents via access through faith institutions of multiple denominations in order to develop a network of relationships, capacity-building programs and trainings focused on addressing issues of communities from a grassroots level. With organizing representatives from Catholic, Baptist and other denominations gathering as one, BISCO came into existence as a small organization with limited staff and opportunities for action. Through the intervening years, BISCO has grown in organizational capacity, outreach, networking, and impact. Today, BISCO is known as a trusted and active voice for community residents from Terrebonne, Lafourche, Assumption and Jefferson Parishes, and has also worked in neighboring parishes of St. Mary, St. James and St. John the Baptist. old membership on our Board of Directors, we also recognize non-Board members in categories of Individuals, Collaborative Partners and Affiliated Partners. One of the major principles of BISCO is to strive for ethnic diversity in each of our activities. We recognize the significant role the various ethnic groups who call the Bayou Region home have played in creating the unique and fascinating culture of the area. It is part of our mission work to seek occasions to bring these various ethnic groups together for building relationships that can create a positive attitude of solidarity and friendship. Bayou Interfaith Shared Community Organizing recently earned national recognition for its advocacy work in the Gulf of Mexico. The Gulf Guardian Award is given by the U.S. Environmental Protection Agency to honor businesses, community groups, individuals and agencies that are taking positive steps to keep the Gulf healthy, beautiful and productive. BISCO formed in 1994 to address issues of racial inequity and poverty in southeastern coastal Louisiana. After hurricanes Katrina and Rita exposed environmental threats to historically under served and underrepresented groups, BISCO launched an environmental education and advocacy project to have the Gulf Coast acknowledged as a Regional Environmental Justice Community. Gauthe said she remembers meeting with an EPA official around that time to discuss the environmental threats facing the region and how to recognize them on a national level. After two years of conference appearances, community meetings and other advocacy work, Gauthe heard the same federal official announce coastal land loss was the country’s top environmental justice concern. “That was exciting,” she said. According to the EPA, the idea of labeling an entire region an Environmental Justice Community has now gained general acceptance and plays an important role in planning and paying for rebuilding efforts across the coast. Since that effort, BISCO has continued to educate local and national audiences about land loss, sea level rise and other environmental hardships, while teaching groups how to advocate for issues facing their communities. 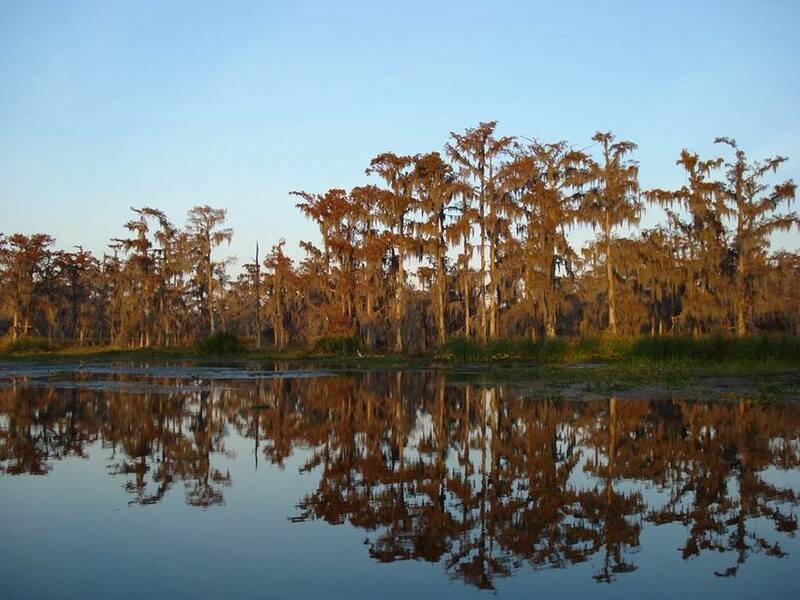 BISCO also started a public comment campaign to increase involvement in the 2012 Louisiana Master Plan, hosted community forums to discuss effects of the 2010 Deepwater Horizon oil spill and called for more transparency in flood insurance rates, among other initiatives. While the group has become associated with its environmental work, it has also pushed for a bus system in Thibodaux and free swimming lessons for children, Gauthe said. Staff Writer Meredith Burns can be reached at 448-7636 or meredith.burns@dailycomet.com. The underlying impetus for BISCO’s work is breaking down generational patterns of injustice, racism and poverty. Our goal is to work for healthy, just and sustainable communities. Having your family's information located in one place that is easy to carry with you is essential in any disaster or emergency situation. Please find BISCO's Family Emergency Plans in the links below. Our Mission is to build a powerful, multi-faith, multi-ethnic, multi-issue organization that serves as a voice for the people of Terrebonne and Lafourche Parishes in southeastern Louisiana, as well as Grand Isle in Southern Jefferson Parish. We are everyday and ordinary church people working together with our ministers to bring about positive changes in our communities. Our vision is to create safe, just, healthy and sustainable communities where we can prosper and grow, enjoying the benefits of a diverse and healthy ecosystem. BISCO commits to using faith-based community organizing to empower residents to effect positive change related to typical social justice issues such as poverty, illiteracy and racism, and to Katrina-Rita-Gustav-Ike recovery issues such as environmental health hazards, loss of housing, employment, and infrastructure. Additionally, BISCO's biggest challenge is directed to addressing the massive humanitarian, economic, environmental, cultural and social impacts facing our community and the world as a result of devastating man-made coastal land loss in our area. Would you like to support BISCO's work in the community? Donate today! in the bayou parishes of Lafourche and Terrebonne in southeastern Louisiana.